Defence Procurement International - MALE 2020: The European UAV To Be? Europe’s quest to design and develop a sovereign Medium-Altitude, Long-Endurance (MALE) unmanned aerial vehicle (UAV) is a road paved with projects that have failed to even get off the ground. The first of such projects, Talarion, announced by Cassidian back in 2009, was powered by two jet engines and was conceived to fly at an altitude of up to 50,000 feet. But after several years of research and an agreement with Alenia Aermacchi and Turkish Aerospace Industry for a joint development, Cassidian called time on the programme in 2012 due to a lack of potential customers. The experience of the Telemos MALE UAV programme proved to be pretty similar. Announced at the Paris Air Show at Le Bourget in 2011 by Dassault Aviation and BAE Systems, it was abandoned a year later. A European designed and produced MALE UAS still does not exist to this day, which has forced countries that need to develop their MALE UAV fleets (France, Germany, the UK) or to expand hem (in the case of Italy), to pursue alternatives. Until the MALE 2020 project takes more concrete shape, General Atomics Aeronautical Systems' MQ-9 Reaper, Israel Aerospace Industries' Heron TP and Piaggio Aerospace's P.1HH Hammerhead, are the main options available for European countries looking to enhance their ISR capabilities. In addition to the MALE 2020 project, the nEUROn Unmanned Combat Aerial Vehicle project; a Franco-British co-operation; should end with the delivery of a combat UAV by 2025. MALE 2020 is a response to a number of operational requirements shared by different European Union (EU) countries; notably Germany, Italy and France. 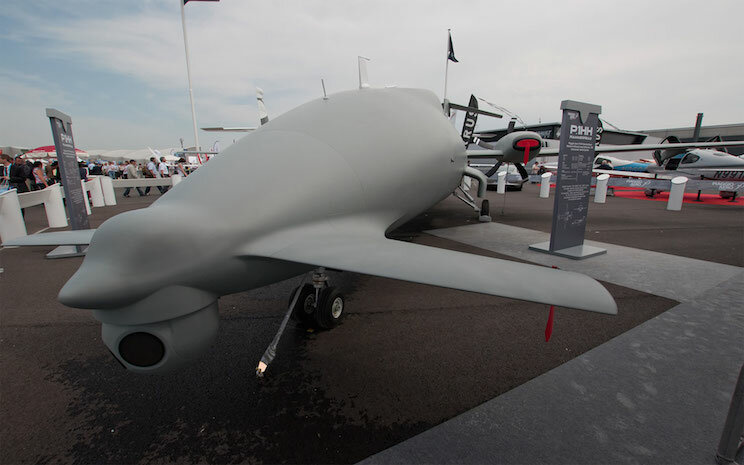 Germany's Airbus Defence and Space, France's Dassault Aviation and Italy's Alenia Aermacchi first expressed an interest in developing an EU-designed MALE UAV in 2013. In May last year, they signed a tri-national Declaration of Interest. The three companies; as well as their respective countries; agreed to commence a 24-month definition phase, which is expected to last until 2017, and will potentially be followed by a full development phase. As the name suggests, delivery of the sovereign UAS should commence from 2020. The first consideration for the MALE 2020 project is European countries' stated ambition to be independent of non-EU MALE UAV assets. Secondly; as confirmed by Airbus; the programme has to guarantee full operational sovereignty, a feature which would benefit even those countries that are currently not involved in the programme. Thirdly, as it is developed in Europe, MALE 2020 would provide EU countries with independent management of intelligence gathering. Germany seems particularly interested in this opportunity as Berlin is reportedly reluctant to share security information with the United States in the aftermath of last year's NSA scandal. A number of features are expected to characterise MALE 2020: mission modularity; operational superiority; and superior ISR capabilities. Mission modularity should enhance MALE 2020's versatility, providing the opportunity to adapt the asset to the required operational scenario. Modularity represents the core of operational superiority and is likely to be achieved by providing a long range of operation and wide area coverage to operate short transit flights and manoeuvre at high speed—including quick altitude changes. Even though details pertaining to sensors, wingspan and payloads have yet to be disclosed, the proposal depicts a highly capable asset, which should provide users with comprehensive ISR capabilities for wide areas and in-theatre activities. According to the tri-national proposal, MALE 2020 should answer an important legal problem: the opportunity to fly missions in non-segregated airspace. To date, non-EU produced UAVs are not allowed to fly outside segregated airspace; only Italy makes the exception. MALE 2020 is expected to fly within non-segregated airspace. Last, but not least, as it will be entirely produced within the EU, MALE 2020 is unlikely to be subject to US International Traffic in Arms Regulations (ITAR), which control the import and export of certain defence-related systems and services. The definition phase for the MALE 2020 programme ends in 2017. This phase represents the first step of the system's development and is aimed at reducing risks; both financial and industrial; before the beginning of full-scale production. During the ongoing phases, customer issues in terms of sovereignty, competitiveness, growth, compliance with joint requirements and certifications will have to be addressed. In order to minimise risks and to gain a better picture of the programme’s expected structure and outputs, procurement agencies, industry and customer countries will need to be involved. Concerning costs, according to Aviation Week, the ongoing definition phase of MALE 2020 requires an estimated 20 million euros investment from each participating country. If States reaffirm their will to continue with the programme, a full development phase will follow, directly ending in the UAV’s delivery. The development phase is expected to cost approximately 1 billion euros in total. Yet, estimated costs may vary depending on the number of participating countries. Thanks to a trade-off process, a higher number of countries involved in the development phase could lower costs. The definition phase is perhaps the most critical phase of the MALE 2020 programme, as a cohesive European defence policy does not exist and operational requirements, as well as an assets’ capabilities, are typically influenced by domestic considerations. Potential disputes among countries with respect to MALE 2020 could arise in areas such as propulsion and armament. Propulsion will determine key capabilities in terms of maximum range and endurance of a single mission. Armament is already a disputed issue, at least when it comes to the MQ-9 Reaper. Italy has received authorisation to arm its Reapers, but it has not happened yet, and it is still unclear whether France and Germany will arm theirs. It seems that Germany has made a proposal to arm MALE 2020, but it has to be submitted for parliamentary approval. If the lack of a strong political and economic commitment caused the Talarion and Telemos MALE UAV projects to falter, why should MALE 2020 succeed? This time round there appears to be a realignment of industrial and political objectives. The question is, will that last? The development of an entirely EU-produced UAV could, of course, represent a basis for further co-operation to develop ITAR-free technologies, as well as an opportunity to enhance EU economic growth by sustaining jobs and capabilities. But the most convincing reason to pursue the project lies in EU countries’ renewed political will to gain technological and operational independence from their allies. For example, France and Germany want to regain independence from the US when it comes to information sharing and the ability to conduct autonomous UAS missions. A shared, EU-produced MALE UAV could represent the first step in further political and strategic integration in the defence domain. However, the industrial and political pathway towards MALE 2020 is still uncertain even in terms of participating countries: Spain and Poland could take part in the development phase, while the UK has not expressed an interest in joining. At the end of April, the UK revealed that General Atomics’ Certifiable Predator B (CPB) had been selected to replace the RAF’s current fleet of MQ-9 Reapers. CPB is still under development. 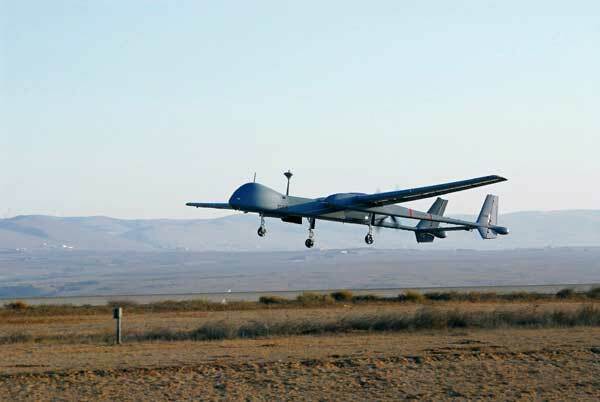 The choice of the CPB has reaffirmed the UK’s ties with the US in the MALE UAV sector. This could prove particularly useful in future if the UK votes to leave the EU, as it would not be dependent on European industry projects. Finally, if EU countries are really willing to gain operational independence in intelligence gathering, the MALE 2020 project could represent a “last call” not to be missed.